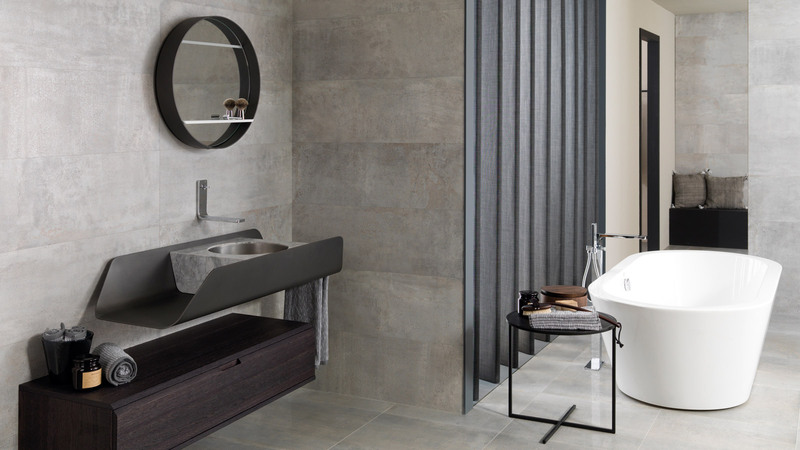 Once again this year, PORCELANOSA Grupo will attend Equip’hotel, an important date for the hotel and restaurant sectors, which will be held from the 16th to the 20th of November at the Parc des Expositions at Porte de Versailles in Paris. This participation will allow new top quality flooring and coverings, decorative profiles, toilets, furniture and bathroom accessories for all types of hotel environments to be presented. Good examples of the masterful application of the materials of the Group in hotels can be found in projects as representative as the Hotel Splendor or Hotel Félicien (both in Paris), the JW Marriott Essex House (New York), W Midtown Hotel (Atlanta, USA), the Radisson Blu Mall of America (Minnesota), the Sheraton Valley Forge (Philadelphia) or the Martin’s Patershof Hotel (Mechelen, Belgium). Among the products presented at the latest edition of Equip’Hotel, visitors will see a headboard made from Krion®, an unprecedented design which will soon be installed in a hotel in the Parisian capital. This decorative resource has been used in the Hotel Chavanel (París 8), where made to measure headboards have also been made from the compact mineral by PORCELANOSA Group, designed expressly to match the theme of the hotel. 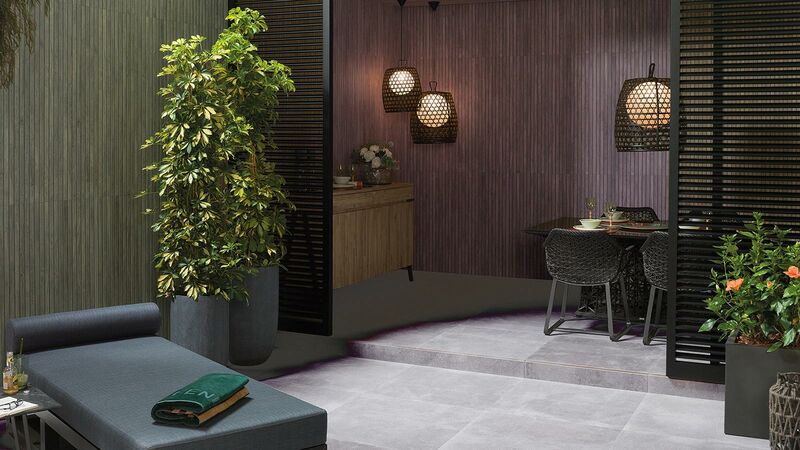 Additionally, the materials and products of PORCELANOSA Group will also be present in one of the “Room Studio” spaces, an area which recreates different hotel rooms with a bathroom and living room, designed by prestigious interior designers. 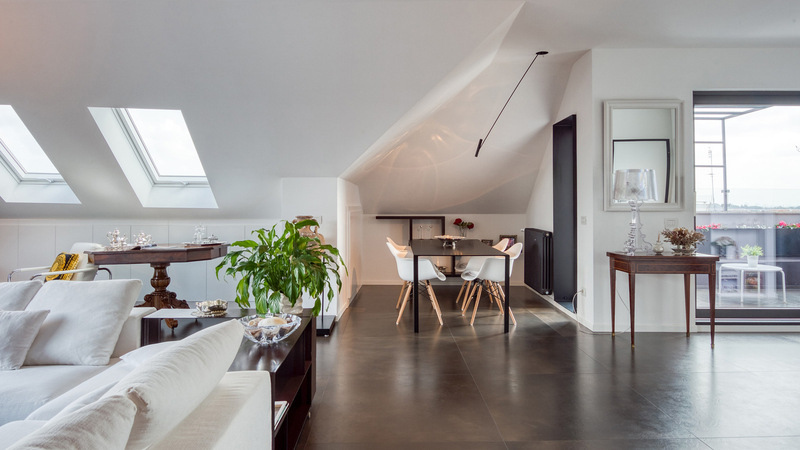 Thus, the space designed by Olivier Lapidus, in collaboration with Groupe Ellegancia, and created by Stella Cadente, will use some of the latest products from the firms of the Group. This is an essential visit for lovers of hotel design, who will be able to find inspiration in the creations by the most demanded professionals of the moment. During the exhibition, there will also be a space for a series of talks where the “new architectural focuses of the hotel concept” will be dealt with. This series of talks and round tables will debate the new challenges of the main spaces of hotels, such as suites, and will examine the latest trends and design solutions in the sector. 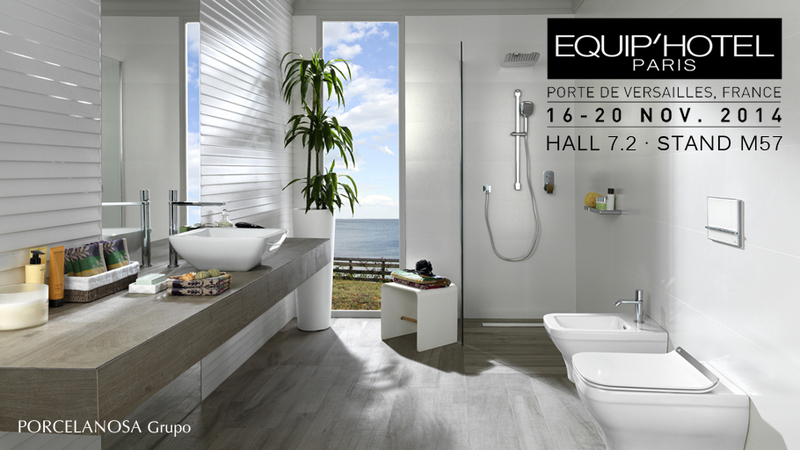 Don’t miss the new products in floorings and coverings, bathroom fittings, furniture designs, the multiple applications of the solid surface Krion® and the decorative and building solutions from the firms of PORCELANOSA Group at Equip’hotel 2014. You will find us in Hall 7.2 – stand M57. More information about the event at www.equiphotel.com.